Shaw, Murray C.. "Todd Brooker". The Canadian Encyclopedia, 10 February 2014, Historica Canada. https://www.thecanadianencyclopedia.ca/en/article/todd-brooker. Accessed 24 April 2019. Todd Brooker, alpine skier (b at Paris, Ont 24 Nov 1959). 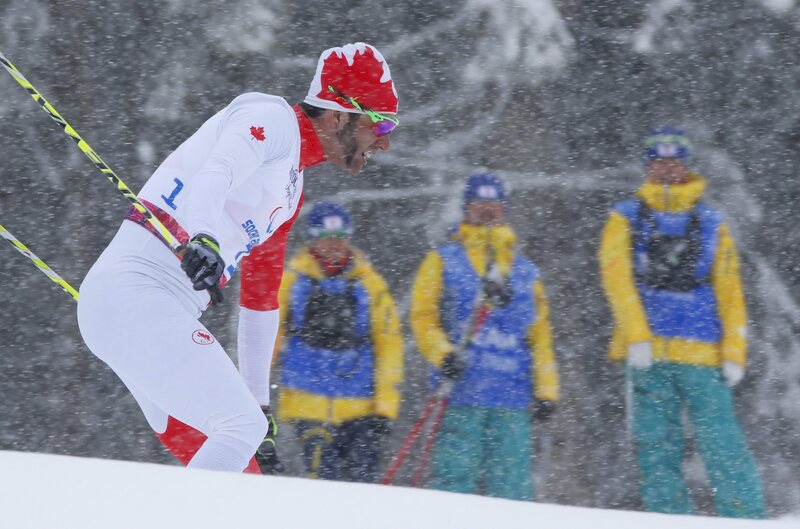 Todd Brooker began skiing at 4 and by 12 was racing throughout Ontario and Québec. An extremely aggressive skier, he has experienced both spectacular wins and devastating injuries. Todd Brooker, alpine skier (b at Paris, Ont 24 Nov 1959). 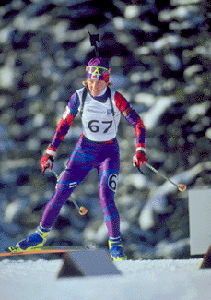 Todd Brooker began skiing at 4 and by 12 was racing throughout Ontario and Québec. An extremely aggressive skier, he has experienced both spectacular wins and devastating injuries. In 1979, his first year on the elite team, he injured a knee and was sidelined for over a year. n 1982-83 he won 2 World Cup events and ended the season with the number-one Fédération internationale du ski ranking in downhill. He remained one of the world's finest racers through 1986, competing at the 1984 OLYMPIC GAMES at Sarajevo, winning a world cup in Japan (1985) and accumulating numerous other other top-10 finishes. In 1987 he was forced to retire after a serious knee injury sustained at one of the most memorable crashes in Canadian skiing history at Kitzbühel, Austria, site of his first World Cup victory. That year he received the Johnny F. Bassett Memorial Award, an honour bestowed on athletes of exceptional character, and in 1991 he was inducted into the Canadian Ski Hall of Fame. In all, Brooker had 10 podium finishes at the world level and won 3 world cup events. After retirement he embarked on a successful career as a ski commentator.